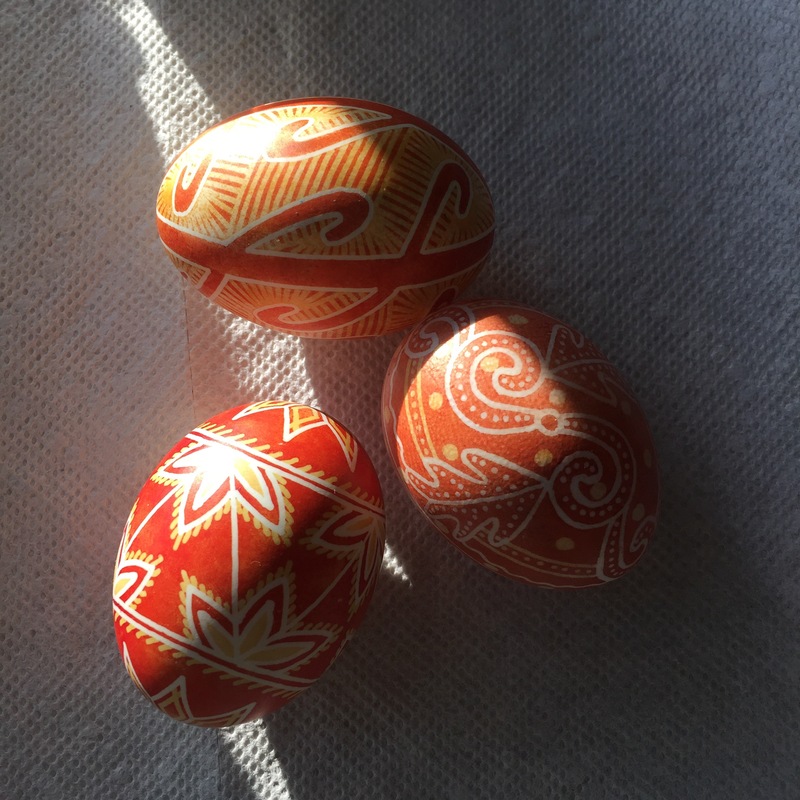 I had a thick pen and some dyes left over from making big eggs (which I will show you later), so I made a few simple eggs. I love using the thick pen even on small eggs. The dyes did not cooperate so well, especially the red one, not sure why, they might have not liked going in and out of the fridge. 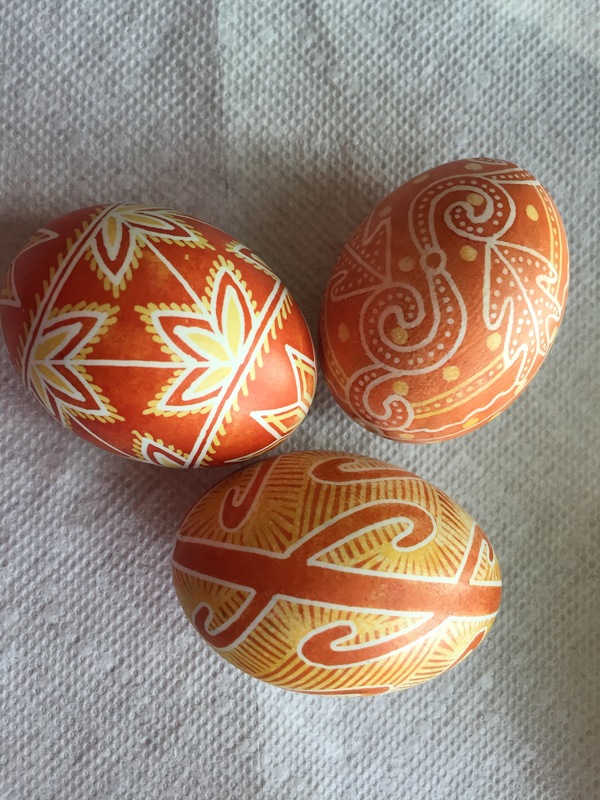 The eggs also did not provide a very even coloring surface. Maybe because I wiped some pencil lines with vinegar? To be further explored. Yellow is coreopsis as usual and red (or rather orange) is madder with cochineal. Duck eggs. This entry was posted in dried dyestuffs, gold, natural dye extracts, Natural dyes, orange, red and tagged cochineal, coreopsis, duck, madder. Bookmark the permalink.